Between the 14th and the second half of the 16th century Italy experienced a cultural rebirth, which led to the artistic school known as the Renaissance. An architectural, artistic and literary revolution unquestionably led by Florence. On the Ponte Vecchio, one of the city’s symbolic locations, among goldsmiths and watchmakers, stands the imposing statute of Benvenuto Cellini, a master sculptor and goldsmith of the Renaissance age, the greatest of his time, capable of transforming precious stones into artistic shapes. And it is to him that Rolex has dedicated its most noble and classic collection: models that stand out as part of the watchmaking brand’s assets, now revisited in a modern guise. Very sombre and refined lines, precious metals and highly elaborate details in keeping with the codes of the art of the great watchmakers. The Rolex style is perfectly represented by the casing: made exclusively out of white gold or Everose (an alloy produced in the Watchmaker’s foundry), with its traditional rounded shape and a diameter of 39 mm. Its side view is reminiscent of the famous Oyster case, and the bezel is both cambered and knurled, though ever so slightly and discretely, paying homate to one of the Rolex Maison’s most recognisable aesthetic codes. Cellini watches are a blend of aesthetic research with a painstaking attention also paid to function: the waterproof case has a screw-down crown and a full caseback, which hides (and protects) the movement. The Cellini Time, Date, Dual Time and Moonphase are certified as Superlative Chronometers, a certification that guarantees excellent performance thanks to the stringent tests to which the calibers are subjected. In compliance with the aesthetics of elegant, classical style watches, these time pieces come with black or brown alligator watch straps, fastened with a gold pin buckle. 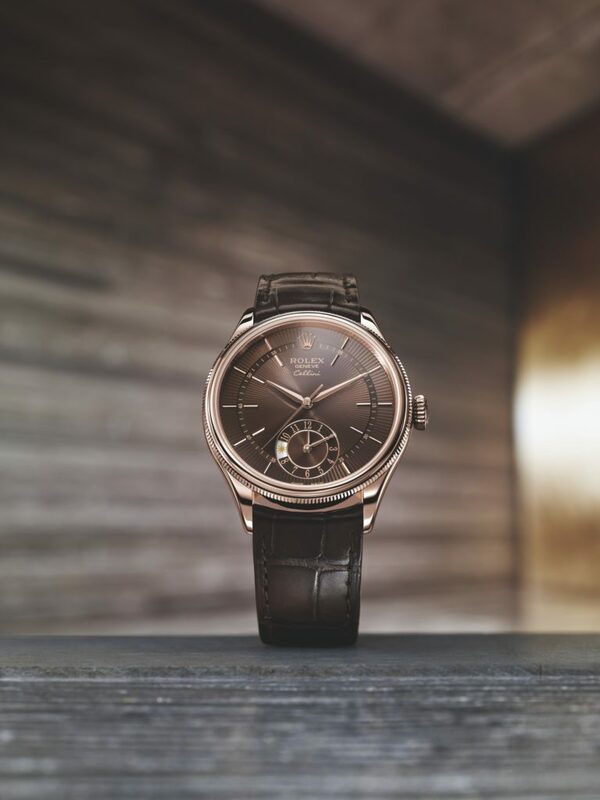 The Cellini Time is the essence of time itself: it indicates hours, minutes and second. The black, simple dial harks back to classic and traditional watchmaking, while reviewing some of its codes with a dash of contemporary elegance. The perfect marriage between past and presence can be found in the elongated stylized Roman numerals, and in the longer applied indexes that stand out in the passing of the minute hand. These precious timepieces are powered by an automatic chronometer movement made in house. 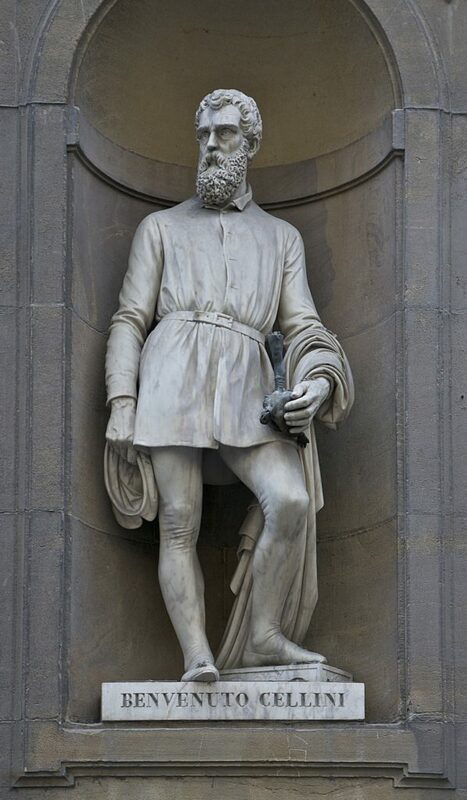 The Cellini Date marks the passing of time, day after day. 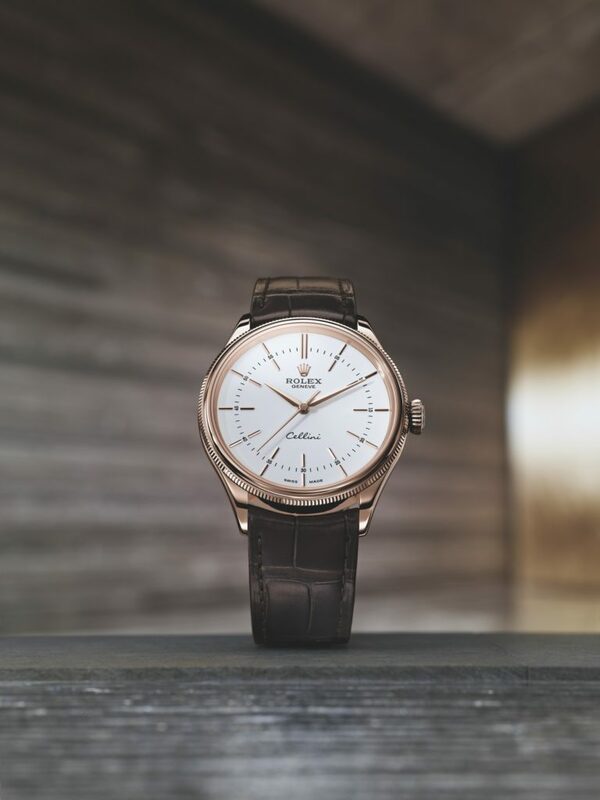 The time indication provided by the Cellini Time is enhanced by information on the date thanks to a dial calendar like in timepieces of old. The counter, circled in gold and with a guilloche finish at the centre, is positioned at 3 o’clock. The Cellini Dual Time give the illusion of ubiquity by displaying the time in two different time zones. Thanks to the sub-dial positioned at 6 o’clock one can read the time of the place one finds oneself in, indicated by the watches’ main hands – and that in some distant part one wishes to feel closer to. At a glance. To distinguish between day time and night time on the second time zone, the symbols of the sun and moon can be viewed inside the counter placed within the minute ring. The centre of the dial hosts the large sword shaped hands, for which the hour hand can be adjusted independently on any time zone without interfering with the watches correct operation. A seductive muse for the most illustrious poets, an artistic subject that has always enchanted with its mysterious charm: the moon. 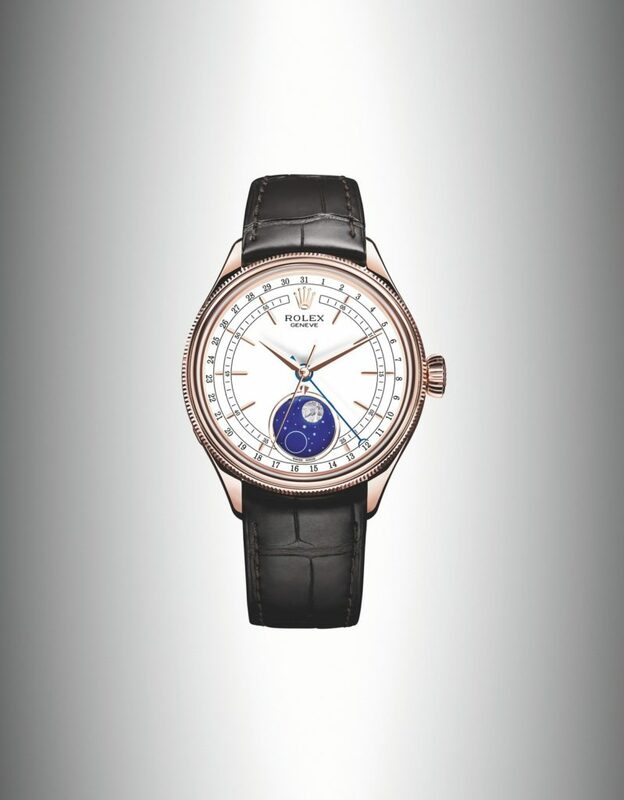 The white lacquered dial, a distinctive feature of the care in its choice of materials that the Geneva Maison uses in dressing its watches, hosts a blue enamel disk at 6 o’clock which shows the full moon and the new moon: the first is displayed with an iron disk that has been hewn from a meteorite, the other with a thin golden circle. The lunar phases can be read with the arrow display on the counter, against which the full moon and new moon line up. The accuracy is guaranteed by the Maison: the lunar cycles are correct for approximately the next 122 years. The reading of the date on the outer rim of the dial is a tribute to our vintage models. 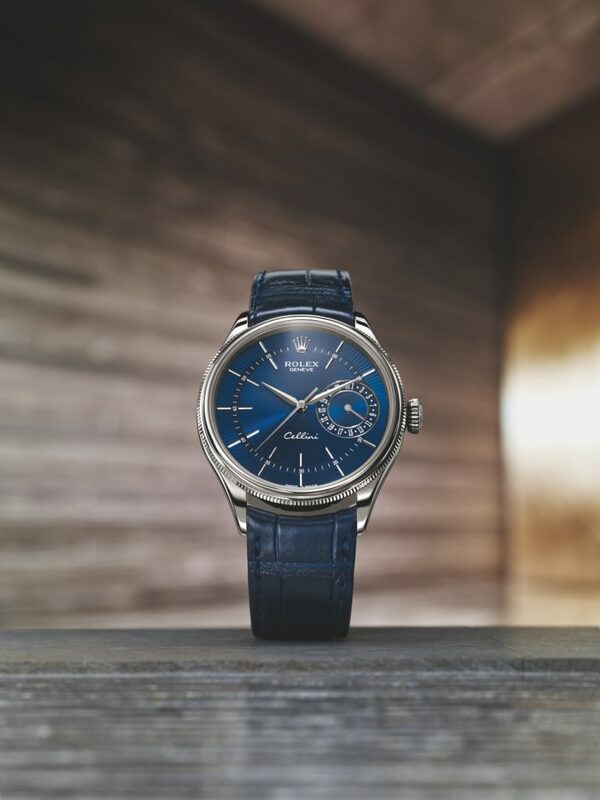 The Cellini Rolex are the undisputed representatives of the Maison’s classic and traditional spirit and will hardly surprise you to know that this collection was chosen by one of the most influential men in the world: the former president of the United States, Barack Obama. Anyone wearing a Cellini awards the passing of time is rightful importance.